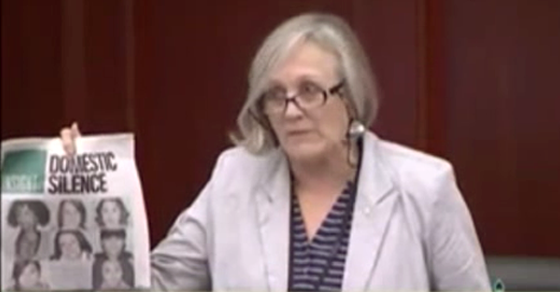 Fitzpatrick was speaking in support of Bill 204, a private members bill that would amend Alberta’s Residential Tenancies Act and allow women in abusive households to break a lease early without financial penalties, needing only a certificate from a list of professionals, including a judge, nurse, police officer or social worker. 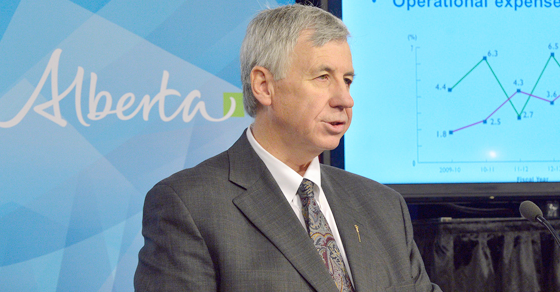 Alberta has one of the highest rates of intimate partner violence in Canada, though those numbers don’t capture the full extent of the problem given as many as 35-40% of domestic violence incidents are never disclosed. A 2013 Statistics Canada report on violence against women listed 78,000 incidents across Canada of women reporting intimate partner violence to police. The Alberta Council of Women’s Shelters recently reported 10,000 women and children stayed at Alberta shelters last year, while an additional 19,000 were turned away due to lack of space. Second reading of the bill passed unanimously Monday night. Photo: Legislative Assembly of Alberta.